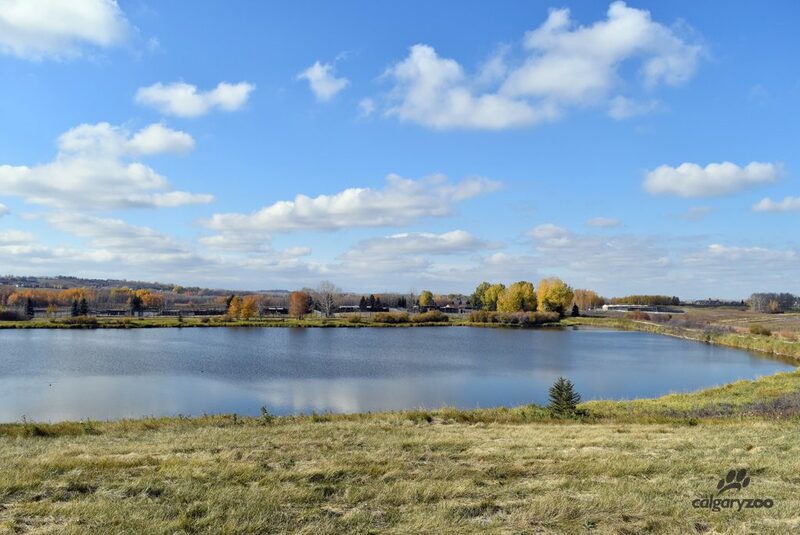 The Calgary Zoo is excited about our plan to buy 333 acres of property near Strathmore as the new home for our Wildlife Conservation Centre. The new location gives us room to expand our award-winning reintroduction breeding programs for endangered species. The Calgary Zoo is the only zoo in Canada with an off-site breeding facility. The Calgary Zoo’s Wildlife Conservation Centre sits on the edge of a small lake. For 30 years we have operated a smaller conservation facility southeast of Calgary, near DeWinton. With that property increasingly surrounded by urban development, the zoo had been looking for a more secluded site. This new location not only provides the right level of seclusion, it more than doubles the amount of usable space – lots of room to expand our conservation programs. Out at the Wildlife Conservation Centre the zoo utilizes a new facility- the first greater sage-grouse reintroduction breeding facility in Canada. 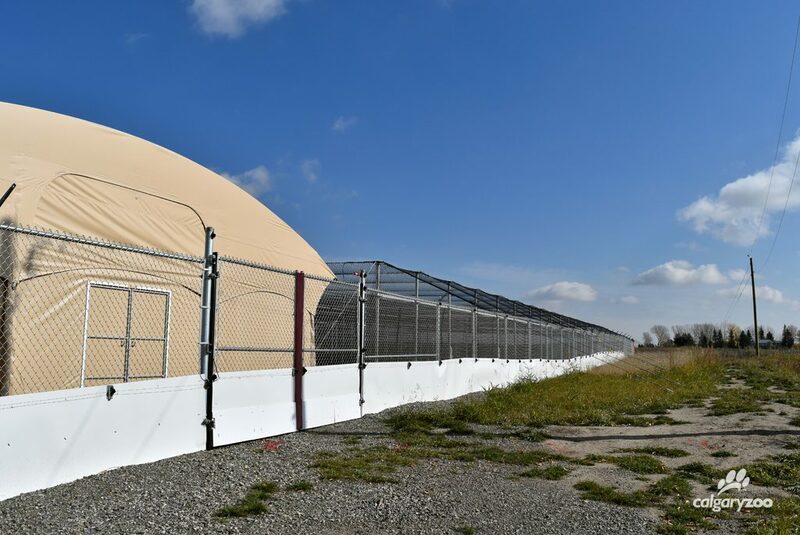 Once the property is acquired, the zoo will move all of the animals from the current site to the Strathmore location, about a two-year process. The new centre will feature animal habitats, research facilities, classrooms and a private animal clinic in a secure area. It will not be open to the general public but we will continue to offer special tours for zoo members. 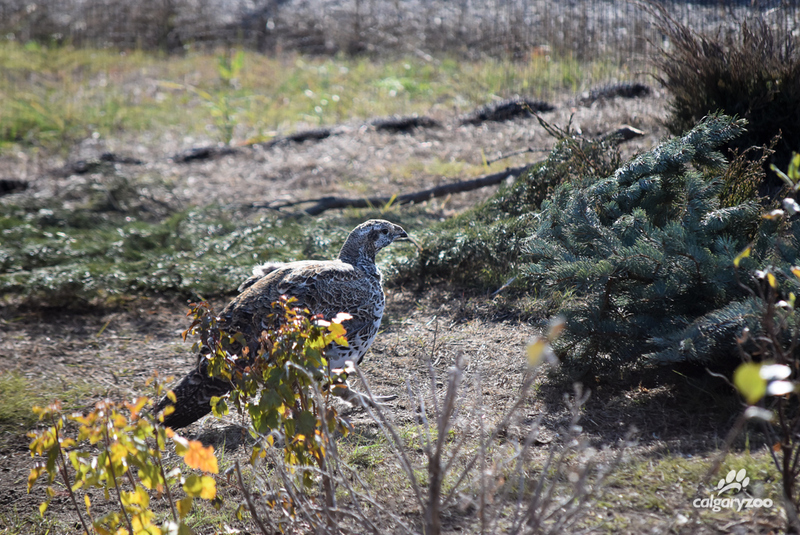 One of the zoo’s greater sage-grouse enjoys the sun in the new habitat. 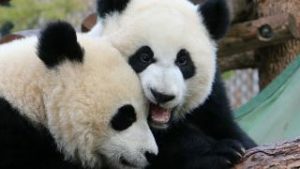 The Calgary Zoo is involved in reintroduction science programs for eight Western Canadian species: swift fox, burrowing owl, greater sage-grouse, whooping crane, Vancouver Island marmot, black footed-ferret, black-tailed prairie dog and northern leopard frog. We are very proud that the Wildlife Conservation Centre is home to Canada’s first reintroduction breeding facility for greater sage-grouse and is the third largest breeding facility for whooping cranes in North America. The support of our community makes possible our critical work protecting wildlife and wild places. The zoo will share more information as our plans advance. Your trip to the Calgary Zoo helps us sustain wildlife and wild places. Visit today!